The Law Office of Hillary Dewhirst can help you secure your future with wills and estate planning. Estate planning is one of the most important steps any person can take to make sure that their final property and health care wishes are honored, and that loved ones are provided for in their absence. Though often overlooked or put off in favor of more immediate concerns, a comprehensive estate plan can resolve a number of legal questions that arise whenever anyone dies: What is the state of their financial affairs? What real and personal property do they own? Who gets what? Does a personal guardian need to be appointed to care for minor children? How much tax will need to be paid in order to transfer property ownership? What funeral arrangements are appropriate? The most basic part of any estate plan is a will. A will is a legal document that allows you to decide what will happen to your children and property upon your death. Without a will, these decisions will be made according to the Tennessee statutory provisions, even if this is not what you would desire. Upon your death, your will goes through the probate process and is made public. Probate is the legal process that ensures property is distributed according to the terms of a will or if there is no will, according to the laws of the state. 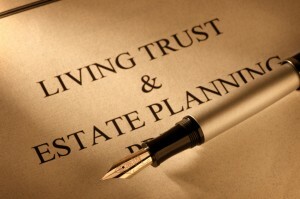 If you would like more privacy in this regard, a trust might be a better option for your estate planning needs. Your “estate” consists of all property owned by you at the time of your death, including: Real estate, bank accounts, stocks and other securities, life insurance policies, and personal property. An estate plan can accomplish the following: Determine how you will divide your property and who you wish to receive it; minimize tax liability; avoid lengthy delays due to legal issues or the probate process; and whether a living trust is necessary. Another very important part of estate planning includes choosing who can make decisions for you if you were unable to make these financial and medical decisions for yourself. A medical power of attorney enables you to designate someone you trust to make medical decisions for you. A financial power of attorney enables someone you trust to pay your bills and manage your assets in the event that you cannot. At the Law Office of Hillary Dewhirst we can help you make the important decisions that will benefit your loved ones after you pass and are experienced indeveloping individual estate plans that meet all of your needs. Hillary Dewhirst, Attorney • Customized and Hosted by Wenderhost.